“Zoe Organics is one of those brands that I truly, truly…believe in. It all started when I became pregnant last year. I became somewhat of a product “snob”. I wanted to avoid all of those harmful chemicals that are placed into products; like BHA, BHT, Parabens, Parfum, Petrolatum, blah, blah, blah. 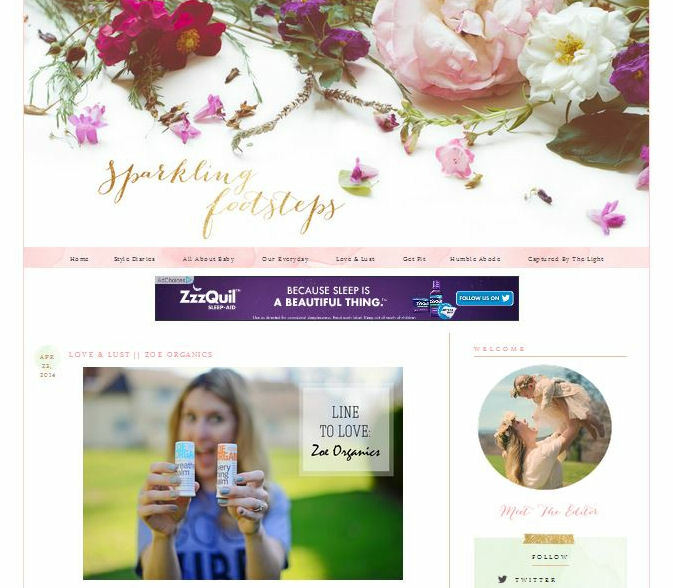 I could go on & on, but the bottom line is that I wanted the best for my baby and that meant sticking to chemical free EVERYTHING.” Click here to see what Sparkling Footsteps is loving in the Zoe Organics line right now.